Hey guys, I’ve been getting a couple of emails asking when I’d publish an income report again. I was really happy to see that you all actually want to read this. So I’ve decided to share my April 2018 blog income report. Please note that this post contains affiliate links. Please read my full affiliate disclaimer here. If you have read some of my previous income reports probably know that my time for working on my blog is limited to weekends. And with all the other things that generally happen over weekends, this usually means my blog gets roughly 8 – 10 hours of my attention per week. That’s really not a lot of time for writing posts, creating pinnable images for them and scheduling those images to Pinterest. And with the recent algorithm and platform changes Pinterest recently rolled out, I’ve also started creating new pins for some of my older posts. For those of you that don’t know what I’m talking about, Pinterest has recently changed their preferred dimensions of a pin and now prefer shorter pins. And most of my older pins are longer than the new recommended size, so part of them will be cut off when viewing it on Pinterest. There are also lots of other changes they’ve made to their algorithm that affect keywords and the rankings of pins, but this isn’t really the place to go into all of that. If you’re already a blogger using Pinterest to drive traffic, you probably know all about this. If you don’t and want to know more, feel free to contact me or comment below and I’ll give you more info. Okay, so I’m not going to bore you with the usual copy and paste reasons of why I share my income reports. You’ve probably read that before on my blog and other blogs that publish income reports. Amazon – I haven’t really included lots of Amazon links in my posts. But I still managed to get a small amount of commission for products people purchased through some of the few links I do have. If you ever mention any products in your posts, definitely sign up for this program. You have nothing to lose by adding a couple of links to products you know and love. Bluehost – The host I would recommend if you’re looking to start your own blog. They offer blog hosting and a free domain name at a super affordable price starting at only 3.95 per month. That is so much cheaper than any other blog hosting I’ve seen. They also have amazing 24/7 tech support and helpful personnel to assist you. Healthful Pursuit – I’ve done a couple of posts on the Keto diet and would definitely recommend these products to anyone interest in Keto. The products are great value for money and offer a ton of information. They also have a great affiliate program which I would recommend you join if you have any posts on keto. Traffic has remained steadily above 30 000 sessions for the last couple of months. It hasn’t been as high as it was during February, but I expected that since most of my traffic in February came from a pin for Valentine’s Day that went viral on Pinterest. However, I feel my traffic is more stable now as traffic is coming in from a number of different pins, so it’s not just one bring in viewers. In April I received a total of 44 616 pageviews and 37 058 sessions. I’m so happy that I’ve had over 30 000 sessions these last couple of months because that meant that I could finally apply to Mediavine! I applied in early in March and was accepted around the middle of the month. My Mediavine ads went live on my blog near the end of March. I’m really happy with Mediavine thus far. They were very friendly and eager to help me get the ads live on my site. Once you get to 25 000+ sessions a month, I highly recommend you sign up with them if you want to run ads. I’m still using Pinterest exclusively to drive traffic to my blog. I will probably start sharing my posts on other social media platforms in the coming months as well. At the moment I’m still using BoardBooster and Tailwind together to schedule my pins to Pinterest. I use BoardBooster mainly to schedule pins for older posts to group boards. And I use Tailwind to schedule pins for new posts to all my group boards and Tailwind Tribes. This is just to get my new content out there as fast as possible. After Tailwind pinned my pin to all my relevant group boards, it goes into my BoardBooster random campaign source board. BoardBooster will then share that pin at random as per my random campaign setup. If you’re still wondering whether to go with BoardBooster or Tailwind, I’d say you should go with what is easier for you. Both of them offer free trials, so try them out and see which one you prefer. Don’t get stuck with the idea that using one will bring you more traffic than the other. I haven’t found that to be true at all. Overall I’m happy with the progress in April. I only published 4 blog posts – one each week. So I didn’t really expect more traffic or income for this month. There will be a major change in my schedule from June onwards. Because of this, I expect I’ll be able to spend more time on this blog and give it the attention it deserves. This month was the first month that I’ve really made anything decent from affiliate sales. And I can definitely see the big potential this income source offers. I’ll be focussing more on affiliate marketing going forward. 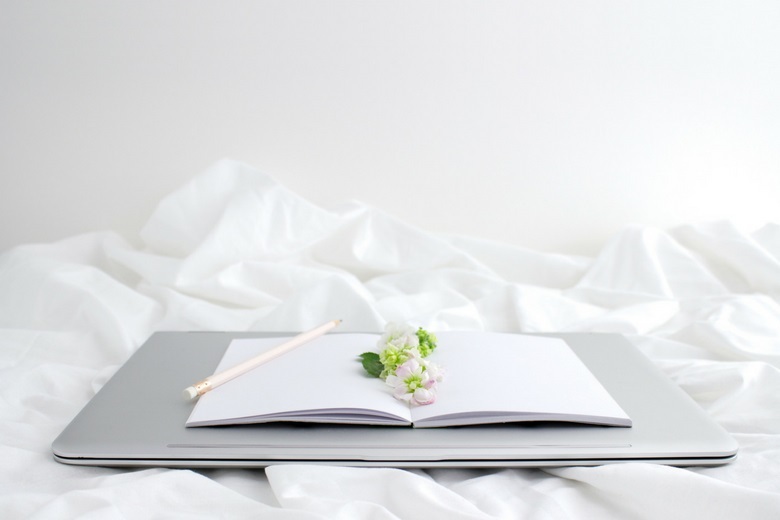 If you want to start your own blog, you can check out my post with step by step instructions on how to setup your blog with Bluehost. Going with paid hosting has so many benefits over starting a free WordPress blog, including being able to run ads on your site. They also offer new bloggers a really affordable entry-level price of $3.95 per month on the 36-month plan. And as you can see, you can make back that money fairly quickly if you’re willing to put in the work. Now, guys, there’s another amazing resource that I want to share with you all. And I wouldn’t recommend it if I didn’t feel so strongly about the value it provides. And that is the Billionaire Blog Club. Paul Scrivens (or Scrivs as people call him) runs over 10 different blogs that made him over $76 000 in February 2018. You can read all about it in his income report here. And if you join the Billionaire Blog Club, you get access to a wealth of information. There’s a variety of different courses, a Pinterest manual and a great community where you can interact with all the other members, including Paul himself. And honestly, this is the only blogging course/membership you will ever need. I won’t go into detail of everything you can get, because if you’re interested you can check it out yourself. The Billionaire Blog Club is currently closed but it opens up a few times a year. So if you’re interested I’d suggest you sign up for Scrivs’ mailing list to get notified of when it opens. If you’d like to get a feel for what he is like, definitely sign up for his free 12-day blogging boot camp or check out some of his blog posts. Looking for more inspiration and blog income reports? 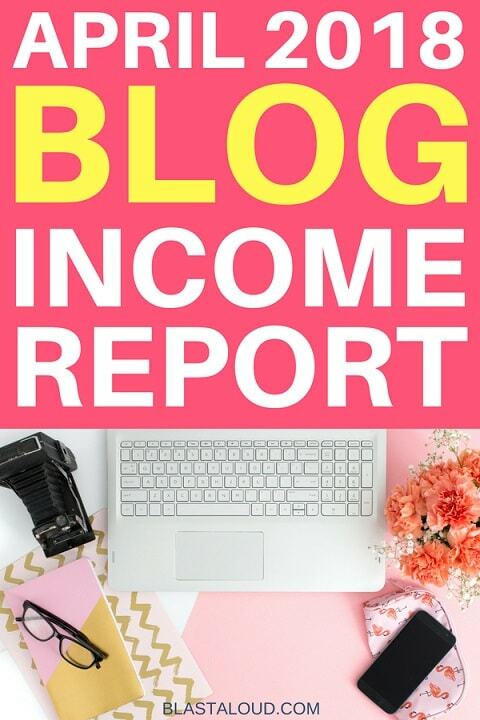 If you want to see more blog income reports, check out Amy’s list of 43 blog income reports for 2018 and Charne’s list of 20 blogging income reports. They include income reports from beginner bloggers making as little as $13 per month to bigger bloggers making $50 000+ per month! And that’s all I have for you today. 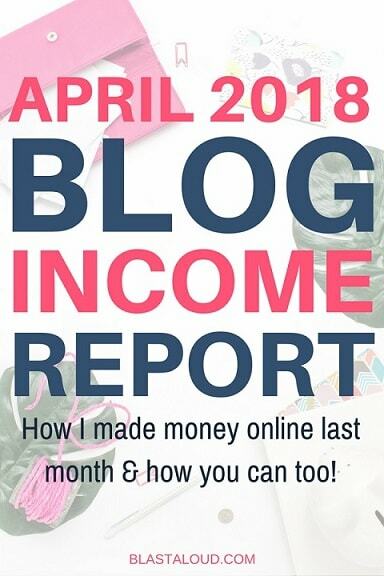 Hope you gained something from this April 2018 blog income report. If there’s anything specific you would like to know, please leave a comment below. You’re also always welcome to contact me via my contact page. If you enjoyed reading this income report, I’d appreciate it immensely if you’d be willing to share it on some of your favorite social media platforms. You can also pin one of the images below to Pinterest if you want to get back to it later. Thanks so much for sharing, this is super inspiring! I also typically only have time to blog on the weekends or late in the evenings. I’m still trying to get the hang of Boardbooster. For your random campaigns, do you usually just set them up based on the category of the type of pins you want to go out? Or do you create a separate campaign for each post? Thanks so much! I set up my random campaigns per category if it’s broad enough. I’ll then create a board for that category that has only my pins on the board and use it as my source board. For example, I’ll create a board called “Keto Recipes *” (the * is just for me so I’ll know its one of my source boards so I know to pin only my own pins to it). And then I’ll have my campaign pin from that board to all the relevant keto group boards. If I have pins that don’t fit into a large category I’ll set up a campaign for those using the Pin URLs instead of giving it a source board. Thanks so much! This is so helpful. I started my blog at the end of March this year, and you certainly inspire me to keep going! Happy to help 🙂 Yeah you should definitely just keep going. I’d say the first thing you should aim for is getting to 25k sessions a month so you can join Mediavine! Hi there, now that Boardbooster has discontinued have you switched back to Tailwind? If so, how many pins do you typically schedule per day? Do you primarily pin your own content. Just when I was starting to get the hang of Boardbooster and now I’m having to switch to Tailwind. Things are always changing. 🙂 thanks! Yes I am really sad about Board Booster closing down 🙁 I’ve since switched back over to Tailwind, it’s just a bit more manual work and not as “set it and forget it” as BB, but it still works. I pin roughly 35 – 40 pins of my own a day with Tailwind, and then throughout the day when I have time I manually pin some of other people’s pins. I don’t have a set amount of other pins I pin, I’ll just scroll through my feed and pin pins that I like. If I had to guess it’s maybe around 15 pins I pin this way. I’m also busy making new pins for my posts, at 600×900, as it seems these tend to show up quicker in the smart feed, and also because Pinterest has said that they love fresh and new pins. Hope that helps!